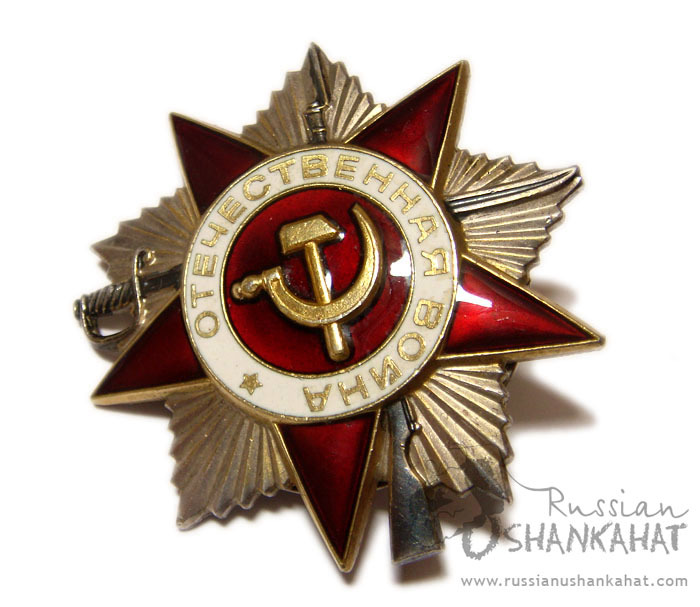 Soviet Army Order of Great Patriotic War (WW2). 2nd Class. 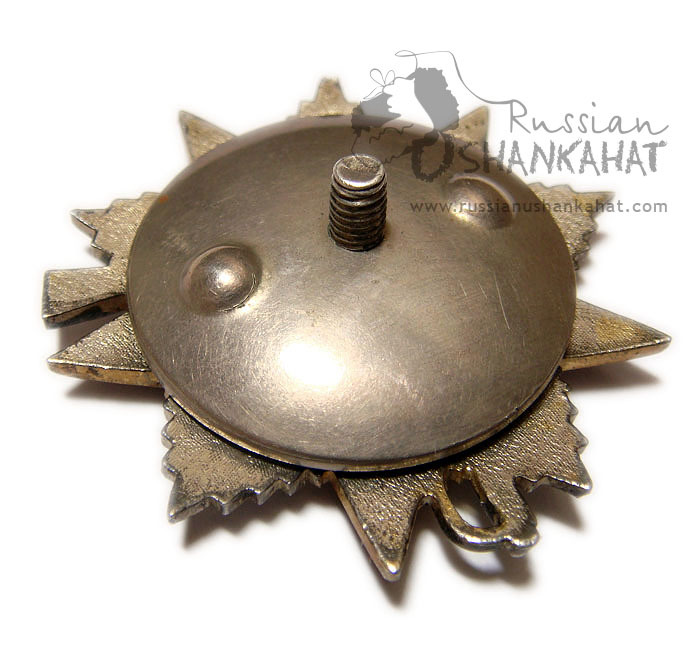 Authentic Soviet award. Nice collectible item. Great for display. Perfect for investing money. Price for such items grows each day and never falls down. 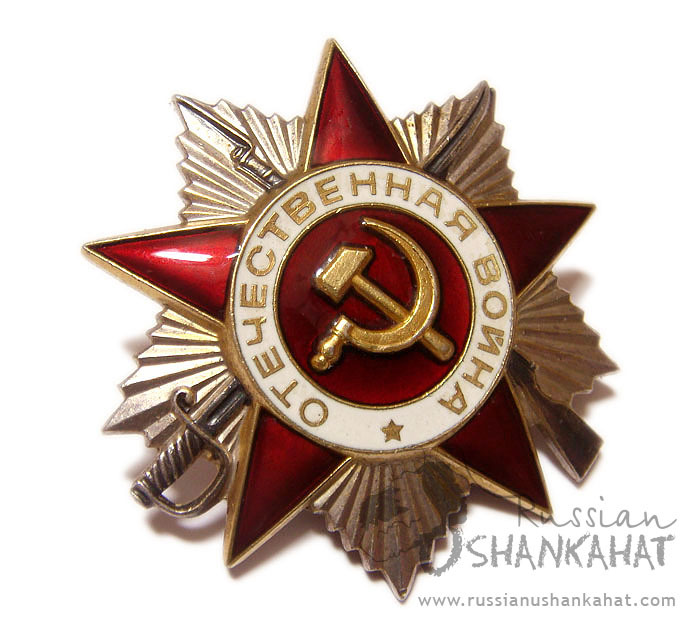 Established on 20 May 1942, The Order of the Patriotic War was an Order (decoration) of the Soviet Union, and was awarded to all soldiers in the Soviet armed forces, security troops, and to partisans for heroic deeds during the Great Patriotic War, the Soviet term for the European conflicts during World War II. The Order came in first class and second class depending upon the merit of the deed. 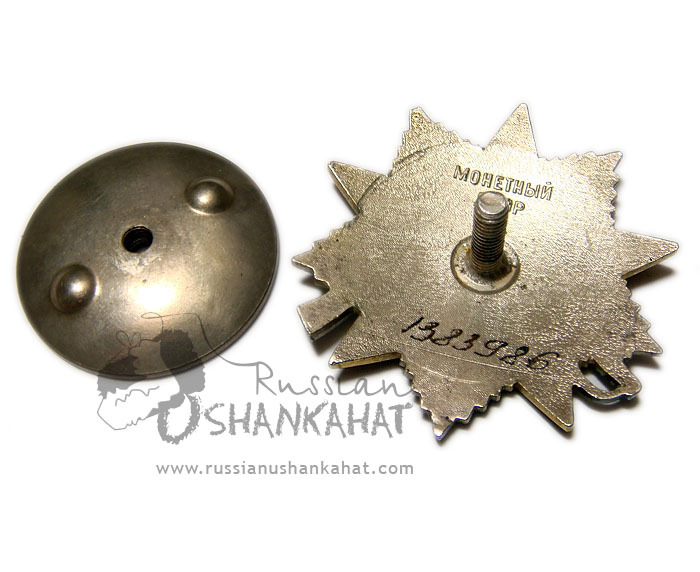 It was the first Soviet medal established during the war, and the first Soviet order divided by classes. Its statute precisely defined, which deeds are awarded with the order, eg. shooting down three aircraft as a fighter pilot, or destroying two heavy or three medium or four light tanks, or capturing a warship, or repairing an aircraft under fire after landing on a hostile territory, and so on, were awarded with the first class. It was also given to some allied troops and commanders, including western allies. Altogether, 324,903 of the 1st class and 951,652 of the 2nd class were issued during the war. Until 1985, a total number reached about 1,350,000. 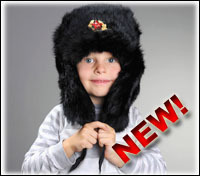 These were often seen worn on the chest of Soviet Heroes during the Second World War, especially during the fierce and savage battles of Leningrad and Stalingrad.